It’s not the customers, it’s you! Can I share with you a recent email that I received from a disgruntled recruitment business owner? This is without doubt, the myth that kills more people’s recruiting business dreams than any other… The myth being because you know how to do the job, you now know how to run a business. Do you know someone who is a fantastic recruiter who really wants a recruiting business, but just can’t find clients? 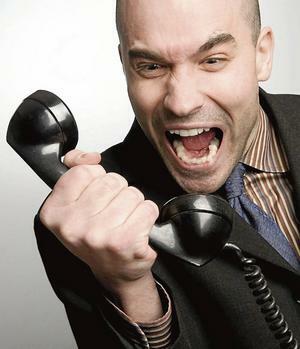 Do you know someone who is not a particularly great recruiter who has lots of clients? In my seminars, 95% of the audience typically answer both questions with a resounding YES! So quite clearly then, it is not how good you are as a recruiter that determines the clients you get. How good you are determines how many clients you KEEP, but you need to get them first! Shall I tell you the secret to having a super successful recruiting business? If you follow this one piece of advice, your recruiting business will prosper where the vast majority fail. You’ll never have a problem finding clients ever again. You’ll have a joyous, fulfilling business beyond your wildest dreams and create a business rather than have a job. Run it as a business! the skill of sales and marketing. If you know how to market yourself, you can find as many clients as you want, as quickly as you want. You can charge the going rate without having to discount to ridiculous levels. You won’t have to waste time with clients who say “email your terms and I will get back to you.” By the way they never will. If you could improve your recruitment placements by 30% would that be of interest to you? “Ladies and gentlemen the train that was due to leave for Northampton has been cancelled the next train will leave in one hour” Together you could hear the collective groan as passengers almost in unison checked their watches and looked towards the sky and tutted.. I quickly grabbed my case and headed for the bar upstairs. A bottle of beer and a read of the Evening paper seemed really appealing! I arrived in the bar to be confronted by a group of six well dressed business people, who judging by their behaviour and volume of the conversation had been there for some time. That was all I needed a group of “high spirited hooray henrys” I quickly found myself a seat and started to read the Evening paper. This proved to more difficult than anticipated as these “hooray henrys” were getting louder by the minute. “Ah that’s because most recruiters are mugs and just don’t ask the four magic questions, consequently you lot work harder for less results.” The other members looked at him incredulously and Giles just stood there with a bottle of red in one hand and a half full glass in the other looking extremely smug. At this point the whole bar went silent and waited for the four magic questions, that would mean less work and earning more money. Luck or commitment…What brings success? I was lucky enough a few weeks ago to listen to a presentation by Bob Geldolf who gave a highly charged and emotive presentation on how he 25 years ago, committed to raising millions of pounds to save thousands of lives in Africa. After seeing BBC news reports of the African famine, Bob Geldof and Midge Ure wrote the song…Do They Know It’s Christmas, to raise money for the crisis. 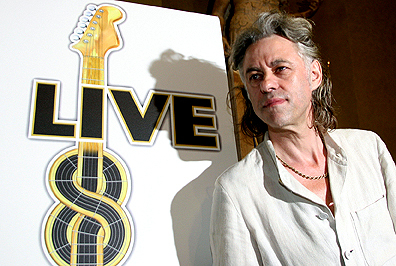 Mr Geldof then went on a crusade to attract other stars to the cause. Performing under the name Band Aid, they released the song on 7 December 1984. It was the fastest selling single ever and raised £8m. Live Aid eventually raised £40m. Half of the money was spent on food and half on long-term development. Do you think that was good luck? I was also lucky enough to spend a few days in Barcelona with my family for the European athletic championship, where again I witnessed men and women who had committed to achieving their lifelong goals. In the stories of some of the competitors were fine examples of how hard work and commitment can bring success. Athletes who had been written off came back to triumph, not for the cash or kudos but because medals mattered to them. Farah was perhaps the best example of commitment. Five years ago he took the decision to commit everything to his running, living a sparse monastic lifestyle, moving house, moving away from his family for long periods. Neither was the pay-off instant, but he stuck at it. His distance double was a fitting reward. The reaction of other podium finishers was also quite revealing. Four years ago GB bronze medals were celebrated wildly. 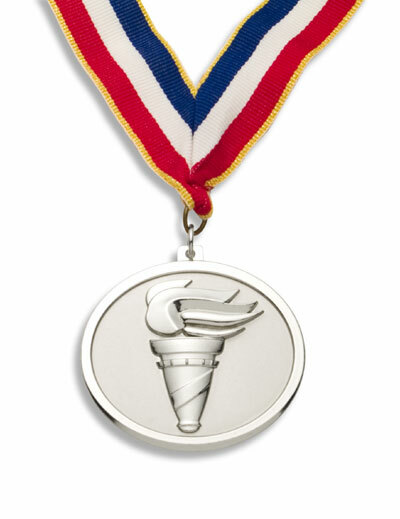 Here, even silver medals were barely considered good enough. Rhys Williams refused to do a lap of honour after winning his behind Greene in the 400m hurdles, while Michael Rimmer looked like he had been handed a prison sentence rather than a prize in his 800m medal ceremony. One question I always ask my clients before we embark on a coaching programme. “Are you totally committed to your goal?” Interestingly the response is not always affirmative. Yet if I ask these same clients if they are committed to the wellbeing of their children the response is always positive. I am yet to meet a successful business leader who put their success down to luck or lack of commitment. Let me ask you a question… What would your business look like if you were 100% committed to its success? Do you think your luck would improve? Do you think you would have more clients and more money? You see it is impossible to be successful without commitment. The good news is there are tried and tested techniques you can use to ensure your commitment and ultimately your success. Call us now on 0845 890 4004 and one of our coaches will share with you one of the secrets of success. You are currently browsing the drewcoachingforrecruiters blog archives for August, 2010.